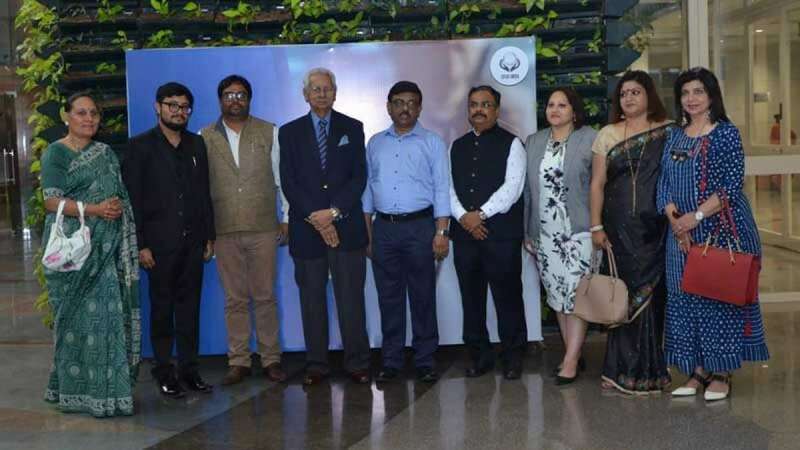 Spur India confers the "Manav Sewa Samman Awards 2019"
New Delhi : Spur India, an imprint of Rubric Publishing, successfully launched Manav Seva Samman Award 2019 on April 3rd and conferred prestigious awards to the medicos & non-medicos contributing towards the welfare of humankind. The event was held at Dr Ambedkar International Centre, New Delhi with a single motto and vision - to recognise the philanthropic work being carried out persistently by doctors, physicians, clinical psychologists, lawyers, etc in India. H.E. Syed Muazzem Ali, High Commissioner of Bangladesh to India, (Minister of State), graced the event as chief guest and felicitated the award winners. The recipients were Dr. Deepak S. Ray, MBBS, MD, DM (Nephrology), Dr. Sayantan Gupta, MBBS, MD (Gynae-Obstetrics), Dr. Urvashi Anand, M.Phil., PhD (Clinical Psychology) and the Special Jury Award went to Mr Partho Bhattacharya, BCom, LLB, LLM for his immense contributions in the Medico-Legal field. The guests of honour present were AVM S.S. Sharma (R), Air Cmde K.K. Biswas (R), Sangeeta Sharma (MD of Sansha Exports), Poonam Tiwari (IITD), Rakesh Sharma, Dy. Secy, Sahitya Akademi (Retd. ), Leema Maity, MSSO (AIIMS), et. al. High Commissioner, Syed Muazzem Ali, congratulated all the recipients and commended them for their selfless services towards society. He further highlighted the long standing friendship between India and Bangladesh and wished Spur India all the best. "I congratulate all the recipients for getting recognised for their humanitarian services and hope such recognition would encourage them further to continue with their work. India and Bangladesh enjoy good relations and we are each other's friends in thick and thin. I would also take the opportunity to laud Spur India for this wonderful gesture of instituting these awards. I wish them all the very best," said H.E. Syed Muazzem Ali. Dr Urvashi Anand, (Ph.D (NIMHANS), M.Phil. (IHBAS), Senior Consultant Clinical Psychologist who received the award said, "I thank Spur India for bestowing me with this award. Such recognitions will motivate other philanthropists to continue their exemplary work towards improving our society!" Spur India CEO, Dr Bina Biswas talked about the need for such awards that felicitate and motivate professionals to do good work for the community. "I thank all the distinguished guests for gracing this event. I would thank H.E. Syed Muazzem Ali for accepting our invitation and gracing the event. There is a need to cater such awards to the professionals to encourage them so that they continue doing good, honest work for the underprivileged. Spur India will soon be organising another event, 'Spur India Literary Awards' which will confer awards to authors, poets, translators from all over the world," said Dr Bina Biswas. The National Anthem was sung with a lot of vigour and display of love and devotion before the programme was concluded.